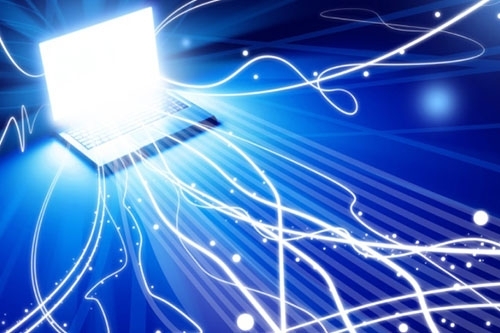 Over half of EU citizens can now access super-fast broadband services, while basic broadband speeds are nearly ubiquitous, according to a new study produced by UK firm Point Research. Almost 96% of EU homes can now access speeds of at least 144 Kbps, and more than half can receive speeds of over 30 Mbps — an important (and ambitious) target for 2020 set by the European Commission. The study was produced for DG Connect, the department of the European Commission which is responsible for its «Digital Agenda» strategy. The purpose of the Digital Agenda is to harness the internet and other digital technologies to drive sustainable economic growth. Neelie Kroes, vice-president of the EC, wants to see €7bn earmarked for EU investments in broadband to help reach Digital Agenda targets, which in turn is meant to draw in private funds of many times that amount. There are reported to be huge variations in availability of super-fast broadband: three EU countries (the Netherlands, Belgium and Malta) have over 98% coverage; and three others (Italy, Greece and Cyprus) have under 11%. All the rest are in the range between 35% and 75%. There are also big variations within countries — for example, rural areas across Europe are estimated to have only 12% super-fast broadband coverage as a whole. In terms of access technology, fibre-to-the-premises (FTTP) is still only available to 12% of EU homes. Super-fast cable networks are the most common platform, with 37% of EU homes now within reach of DOCSIS 3.0 networks. VDSL (Very-fast DSL) was available to 21% of EU homes by the end of 2011. The three technologies together add up to only 50% total super-fast coverage because they overlap a lot, competing to serve the richer and more densely-populated areas, leaving others underserved. While this is all very heartening for the EC’s 2020 goals, a separate study issued recently by UK consultancy Ventura Partners predicts that at current rates, it will take 92 years to cover the EU with ubiquitous fibre-to-the-home (FTTH) networks.